The Ultimate Chameleon Display Cage! When it is time to have a great looking cage that allows you the best possible view of your beautiful chameleon then the Large Clearside Atrium Enclosure is what you are looking for. The clear front allows viewing without the obstruction of screen mesh and the solid walls keeps your misting system mist inside the cage and not on your walls or furniture! Important Note: The Clearside material is a specialty product and the fabricating of the cage is a time consuming process. We do a build roughly every other month of these cages. Please check for the schedule. Once you place an order you are guaranteed to be included in the next build. A Large Clearside Atrium built up with the basics. 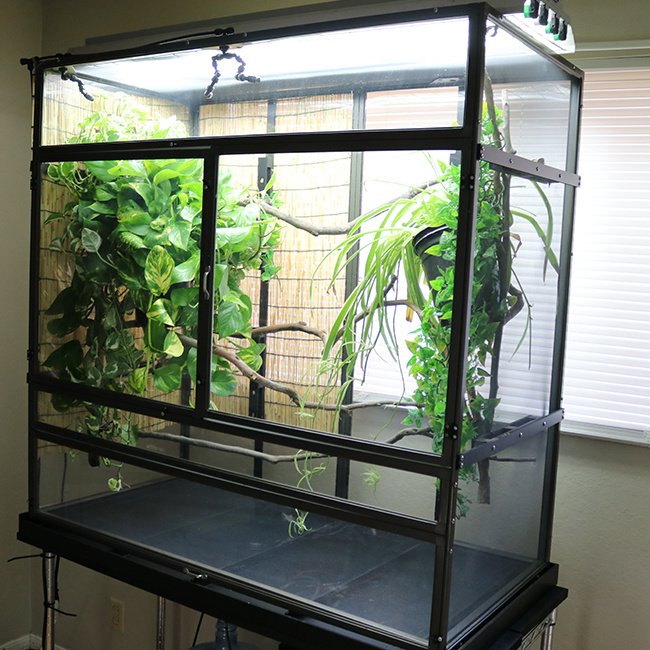 This set-up incorporates a quad T5 light fixture, an automatic misting system, a Large Atrium Drip Easy Drainage Tray, and a bamboo mat to work with the Pothos vines to provide a visual isolation corner. The Large Clearside Atrium Enclosure takes the best production cage available for chameleons and gives you the visibility and mist retention of glass without the weight. At 45.25″ wide x 44.25″ high x 22.25″ deep, it combines both width and height to give your chameleon three dimensions to move about and choose from multiple perching and hiding spots. 1. Clear panels. The front, left side and back are made of clear PVC stretch tight to form a clear wall which allows you to see your chameleon without the distraction of screen mesh. The solid clear walls hold in humidity and mist giving you the ability to create humidity gradients across the enclosure. The right side and top panels are still screen giving you the ventilation necessary. The screen right side doubles as a feeding wall if you want to release as feeder on it to produce a more natural feeding response. 2. Rust Proof. 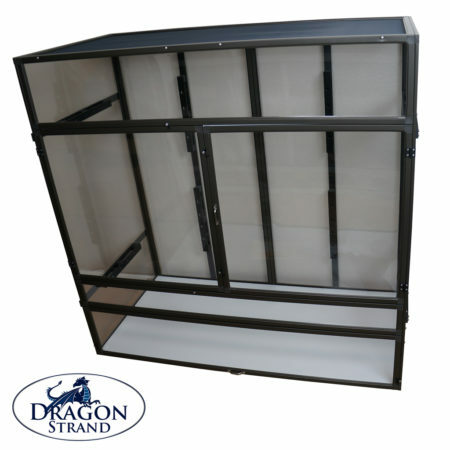 This cage is made to the Dragon Strand standard of no rusting parts. Dragon Strand were the first of the presently commercially produced cages to be able to claim this. I use my cages outdoors and customers come to me for cages to be used in greenhouses. Rust free is not a fluff feature here. It is a basic requirement. 3. Dragon Ledges. 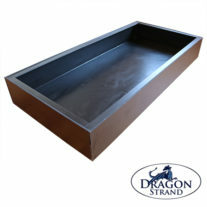 The patented Dragon Ledges are included standard which allows ample surfaces and nooks for you to anchor branches and potted plants. These provide the tools for you to create a floating landscape for your chameleon to live and thrive. A lush canopy with a floor clear of obstructions is now possible. 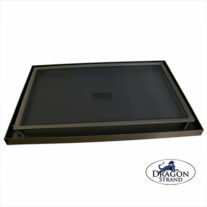 Each side panel has two horizontal Dragon Ledges and each of the two back panels have two vertical Dragon Ledges. In total you have eight anchors spread throughout the enclosure for you to create a beautiful interior. 4. Double Doors. A French door design gives you access to the entire cage width. 5. Service Door. The flip up service door on the bottom allowing the floor panel to be removed for cleaning is fully functional. The floor is one piece and the flip up service door is as well! The Large Clearside Atrium Enclosure ships unassembled.